Save when you stay 7 or more nights in April / May 2019. 200€ saving per booking. Stunning luxury yurt and hybrid car, ideal for a couple/family to get away from the crowds! At the beach location and pool etc..
Our 83m2 luxury yurt - the largest yurt on the finca - is finished to a very high standard by a local interior designer and, with its own walled terrace and garden, provides superb sustainable accommodation for a family, or for a couple who prefer lots of private space. 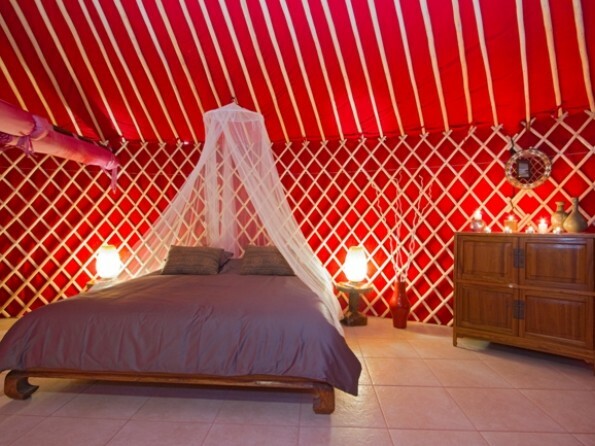 If this yurt is showing as booked, please ask for further options at the Retreat. 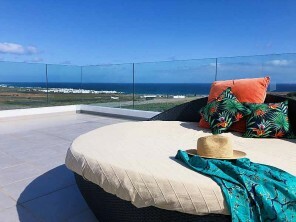 Guests have shared use of a solar-heated 10-metre lap pool and plunge pool, as well as a chill-out area with shaded Polynesian-style daybed all in a gated mature garden setting with sea and mountain views. 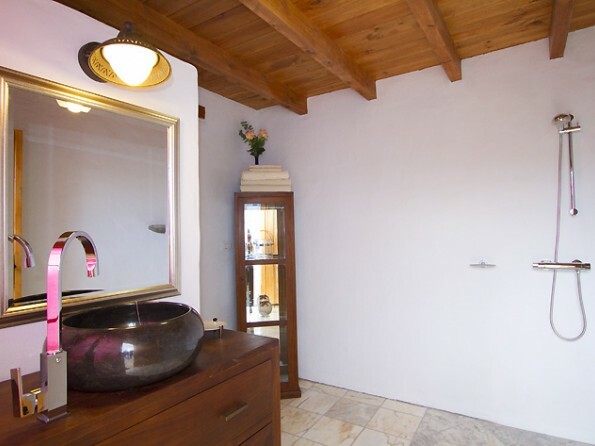 Here you`ll also find a spacious covered open room with hardwood floor for guests` use. There is a large, fully equipped kitchen, dining space for eight, authentic Moroccan floor seating and a further toilet and shower room. It`s the perfect place to relax, read or enjoy a meal. 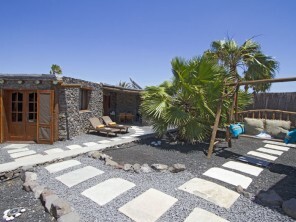 Lanzarote Retreats has fifteen ecological properties and we`re very proud of our green credentials. 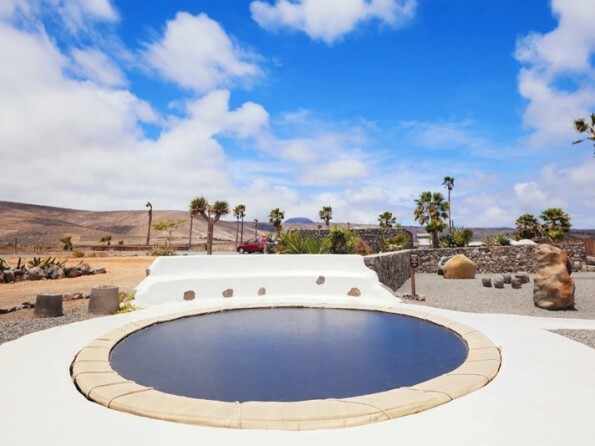 All are off the national grid, giving guests the opportunity to enjoy a sustainable holiday, experiencing first-hand what it`s like living with solar panels, wind turbines and using the latest renewable energy technology, which makes the most of our wonderful Lanzarote weather. You`ll be surprised at the luxury of our accommodation. 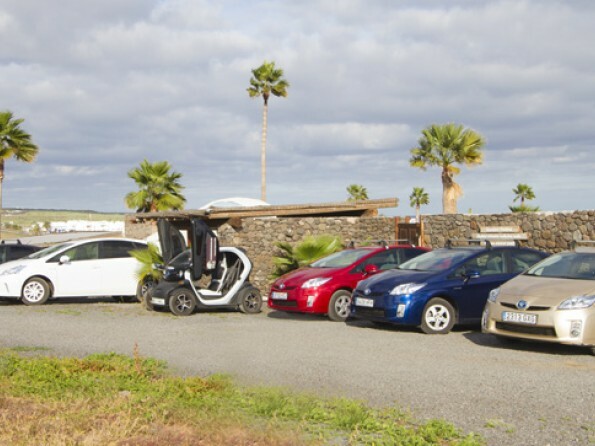 Also includes a Toyota Hybrid car for the duration of stay plus return VIP airport transfers. 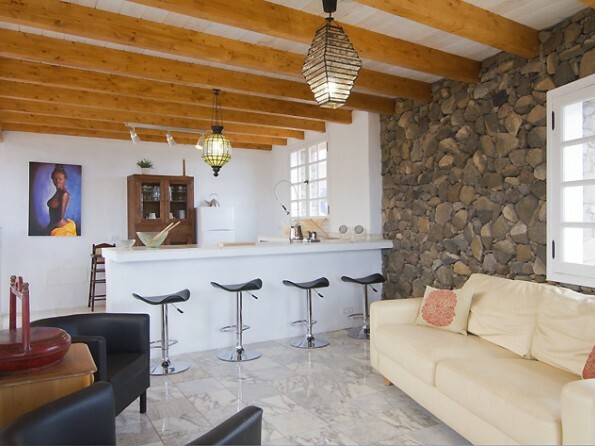 The nearest restaurants are within the village of Arrieta, just a short walk away. The restaurants are well known for their lunch service and most take last orders by 8pm. The supermarket is also within the village and there is a lovely Spanish cafe for you to get your morning coffee/cake. 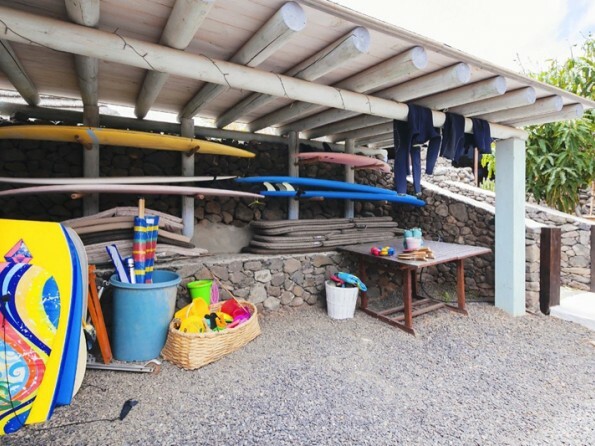 Within a short drive, there are fantastic beaches for surfing, kite surfing and windsurfing. 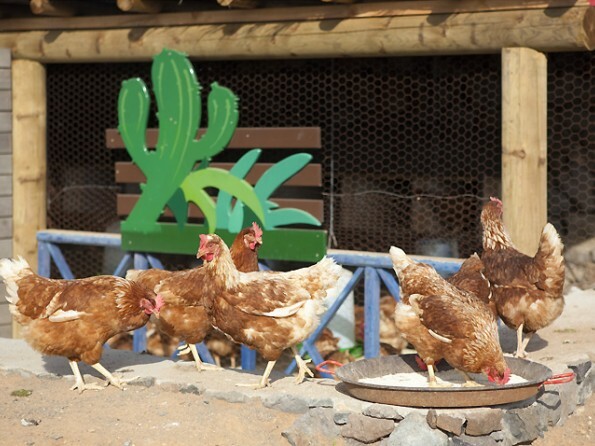 The owners of the Eco-Retreat, Tila and Michelle will be happy to organise any such activities. 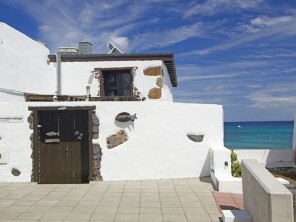 The village of Arrieta is located on the North East coast of the island of Lanzarote. 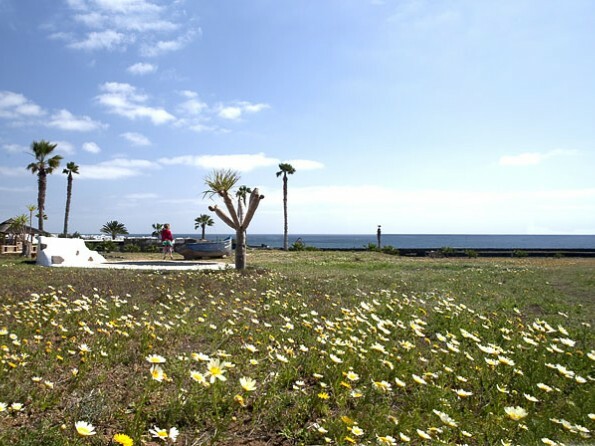 When arriving in Lanzarote by plane, the islands only airport is located in Arrecife. It is a 30 minute drive to the cottage. Flights to Lanzarote are available with Monarch, Thomsons, Thomas Cook, Easyjet, Jet2com and Ryanair. This rental comes complete with stress free airport transfers for your arrival journey and exclusive use of the latest Toyota Hybrid Prius car throughout your stay. 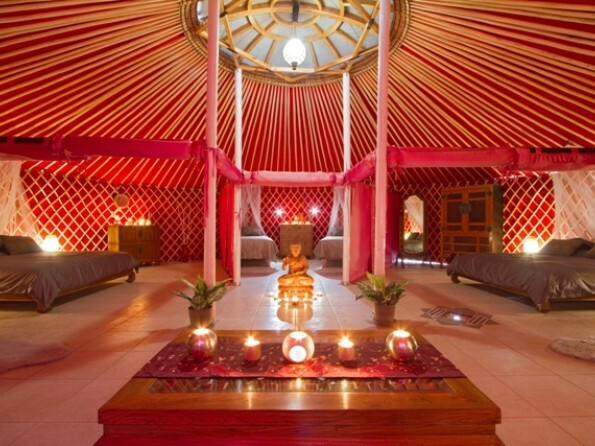 Inside this authentic Mongolian yurt, which measures 10m in diameter, special touches include plush fabrics, handpicked antique Mongolian and Balinese hardwood furniture. 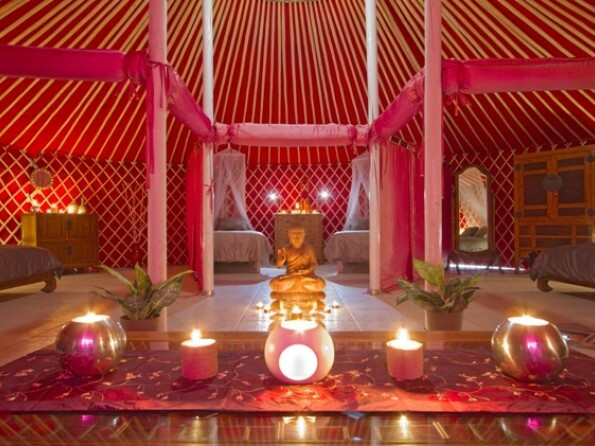 This spacious yurt has 3 internal bedrooms which are divided by heavy curtains giving you more privacy. Two of the rooms have super king-size beds and the third room has two single beds. The yurt has star light features in its floor and traditional two-skin cover keep the yurt draft-free and ensure a constant ambient temperature. A central skylight allows ventilation as well as romantic star-gazing. 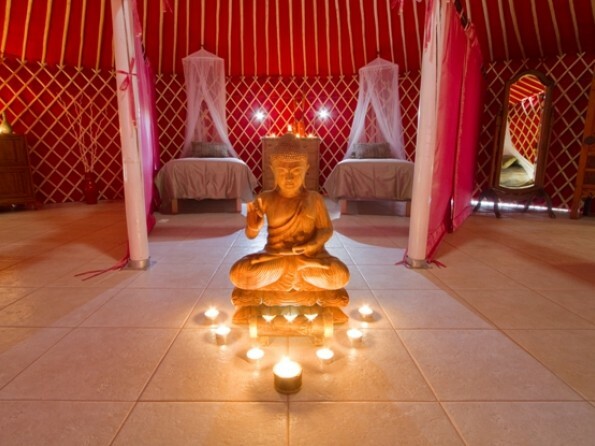 Outside, the yurt benefits from a very private, tranquil setting, which makes it perfect for family use. 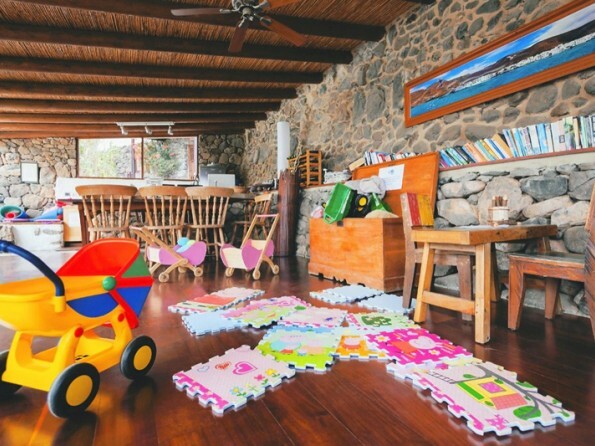 Its 300 sq m plot includes a terrace and graveled garden which is stone-walled and gated, with plenty of safe play space, and features a shaded daybed, bamboo dining gazebo for al-fresco dining (parents of young children should be aware there are some steps at the entrance gate to the terrace). The spacious shower room oozes indulgence, with a walk-in shower, toilet, and feature marble floor and sink. There is a large corner bath set out side within a bamboo fenced area. This yurt is unique as it features a large covered outdoor kitchen and lounge area, with granite-topped breakfast bar, which is fully equipped for self-catering the lounge has comfortable sofas and spectacular mountain views from where you can enjoy outdoor shaded living. 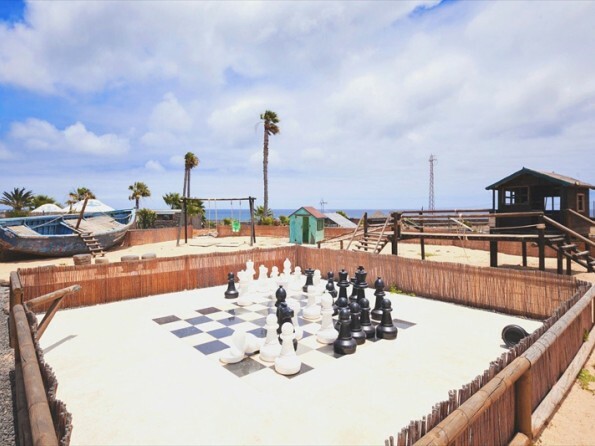 The Yurts are set in a fabulous location overlooking the beach in Arrieta. 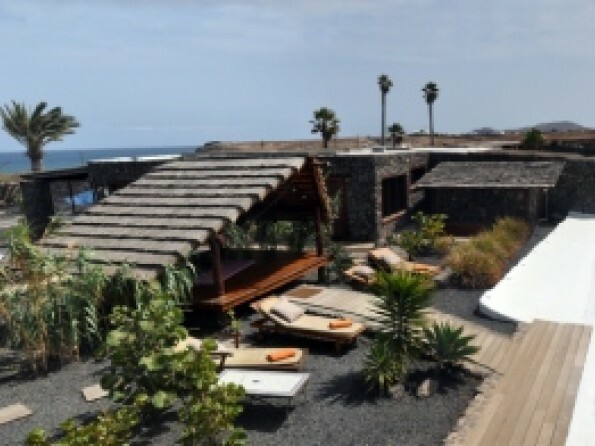 Amongst mature gardens with panoramic sea and mountain views, the eco-retreat runs entirely on wind and solar power and is a unique example of sustainable living. There are 60 solar panels, batteries and 2 large wind turbines. This rural location is a perfect setting for a relaxing holiday in the country with the added beauty of being next to the beach. 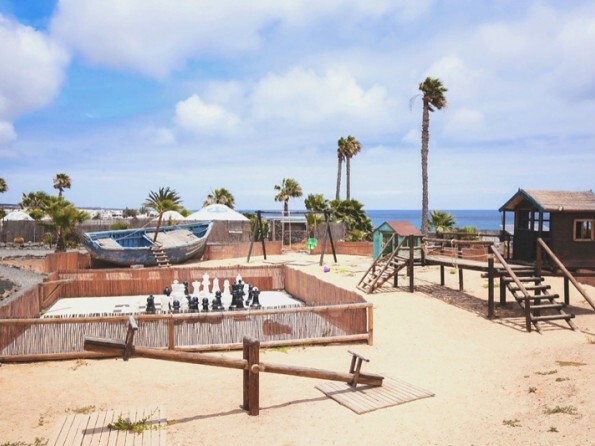 The property is child friendly and special touches include guests being welcome to eggs from our free range hens, a play area and trampoline for children, table tennis, and even Molly, the resident donkey. 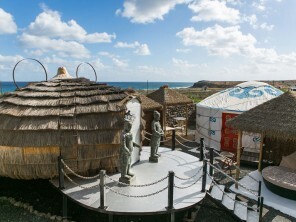 There are 8 Yurts of varying sizes within the Eco Village, each with distinctive and unique features. 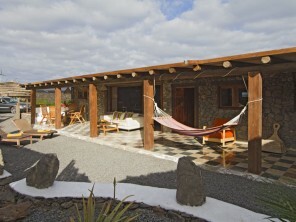 There is also a luxury eco villa and cottage within the retreat. 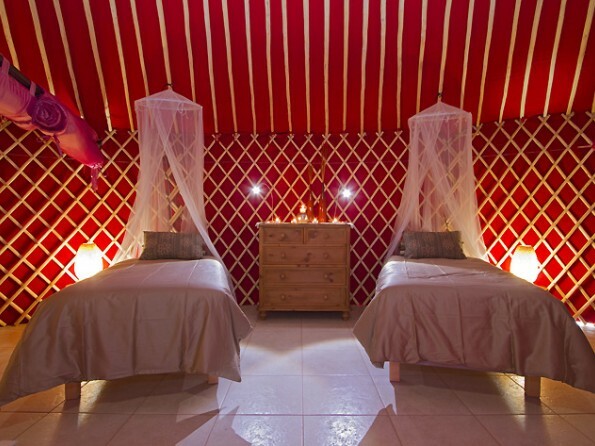 More details of the Yurts and other eco properties are availabile on request. The owners of the Eco-Retreat, Tila and Michelle, live on site with their family and are happy to share their extensive knowledge of the island.